There will be a 10% buyers' premium added on to all purchases at our furniture sales. This will be in place from this week's sale on Thursday 21 February. This decision has not been taken lightly but, in order to maintain the viability of furniture sales, we feel it's unavoidable. Sheep sales will be held less regularly from the beginning of February although some dates will be different depending on Special Store Cattle Sales. All dates will be included in the Sales section of the website. 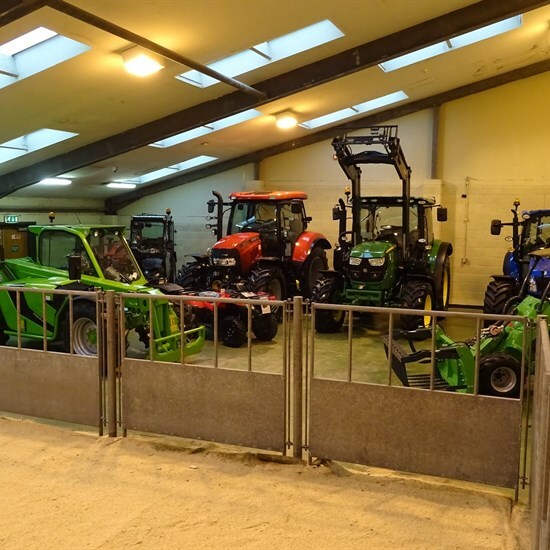 After more than 40 years’ combined service at Kirkwall Mart and Orkney Auction Mart, Jim Linklater has taken the decision to semi retire later this year. From mid-October he will work a two day week which will give him more time to explore his other interests such as his own small holding, shooting and of course his 2 grandchildren. Over the years Jim has become the voice of Orkney Auction Mart from the rostrum, a highly regarded auctioneer, in fact one of the best you will ever hear. Having sold hundreds of thousands of livestock, bringing in millions upon millions of pounds to the local economy, he feels the time is right to reduce his working week. Jim will still continue to sell livestock, procure livestock and undertake valuations on a reduced basis. Another of our Auctioneers who has an impressive set of figures is Graham Low. He recently went viral with 500k hits online with his version of the “Auctioneers Song” performed while studying at Harper Adams University. Graham is well known as a talented musician in Orkney and stars in “The Eastie Boys” as well as making guest appearances in other local bands. He is also very highly thought of and well liked throughout the Agricultural sector in Orkney. Graham, having recently passed his “Associate of the Institute of Auctioneers and Appraisers Degree” will step up in the firm to Senior Auctioneer. He has already shown that he has all the attributes to become a top class auctioneer and he’s been selling regularly over the past few years. Last backend he sold 1000 store cattle in one day on his own - no mean feat! He will continue to sell all classes of livestock and will be assisted by Jim. In light of Jim’s decision to semi-retire, Orkney Auction Mart is pleased to announce the appointment of Kevan Harvey as Livestock Fieldsman/Canvasser from 1st September, on a part time basis. Kevan is very well known in agricultural circles within Orkney, having been a former President of the NFU in 2011/12 and Chief Steward for many years at the Dounby Show. Latterly he was the Chairman of the Orkney Business Ring. He also runs his own farm, covering 740 acres in Sandwick and Rendall, stocking 125 breeding cows and 200 ewes. Graham will take the lead role in the procurement/canvassing of all Orkney farms, to provide a quality service to our customers, and advice in marketing their livestock. Jim Linklater and Kevan Harvey will supply valuable experience and a wealth of agricultural knowledge to this team, as we look to improve on this area of our business. 74.5 Acres (approximately) of agricultural land, along with farm steading. 2 Miles east of Kirkwall.